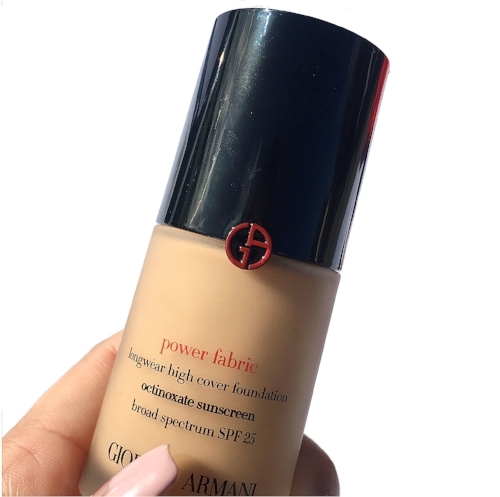 The latest launch from Armani Beauty is the debut of their *Power Fabric Long Wear High Cover Foundation, which boasts an impressive matte light wearing formula in addition to 20 shades that suit a range of skin tones. I had the pleasure of attending the launch in West Hollywood a week ago and I have worn the foundation every day since. Today I am excited to share my review as well as swatches of three shades in the light to medium range with you. POWER FABRIC combines full coverage with an ultra-light formula. Upon application, the texture melts into the skin, effectively blurring imperfections with an incredibly lightweight matte veil that feels like you’re not wearing make-up at all. With a SPF 25 filter, power fabric offers effective daily UVA and UVB protection up to the promise of broad-spectrum SPF protection. Because every woman is unique, POWER FABRIC foundation comes in 20 shades to suit all skin tones. The formula is adapted for each shade to deliver optimal coverage without cracking or dulling. The foundation is equipped with a pump which dispenses just the right amount of product. I find that I only need two pumps for full coverage. It blends beautifully and seamlessly, helping to immediately blur and cover imperfections. 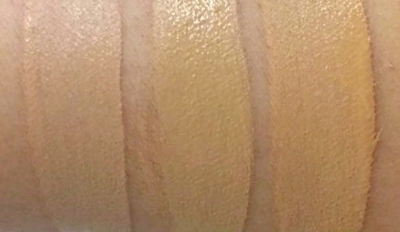 Shade number #6 in the Power Fabric Foundation suited me best. 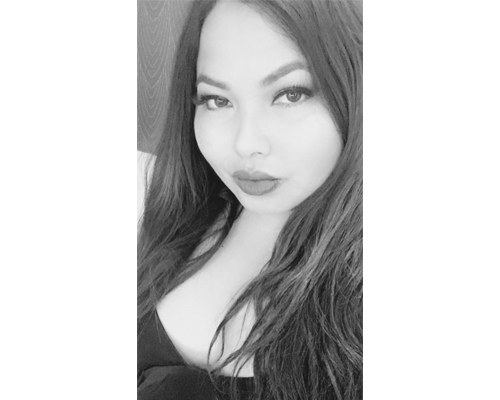 I have applied the foundation with both a damp beauty blender and a brush and it leaves me with a seamless matte finish that does not emphasize pores nor does it cling to any dry patches. 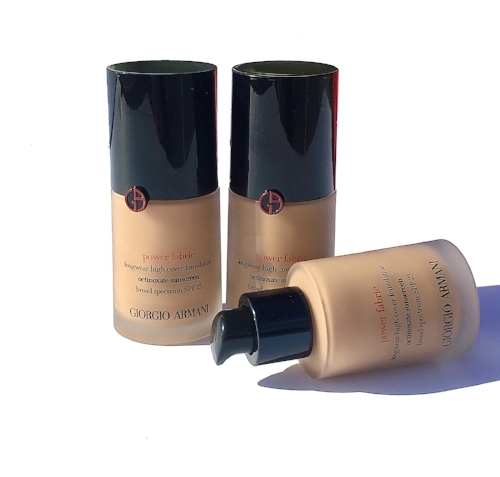 It is lightweight, yet offers amazing medium to full coverage. In terms of longevity, the foundation stayed intact through out the day and did not require touch ups. I was able to achieve a good 8 hours of wear before taking off my makeup at the end of the night, otherwise I suspect it would still be going strong. The magic of it lies in the fact that provides seamless coverage that feels like you’re not wearing anything at all. The result is skin that appears even, natural, and youthful. Another added plus is the sun protection factor of 25 to help protect from the sun’s harmful ways. Win win! 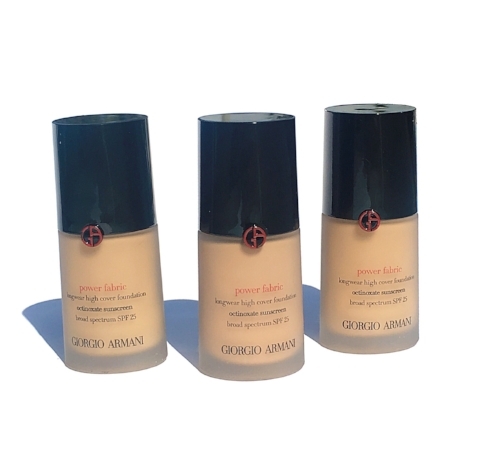 How does the Power Fabric Foundation compare to the other foundations in the Giorgio Armani Beauty Range? While the Power Fabric foundation offers full coverage, the Luminous Silk foundation provides light to medium coverage with a more radiant luminous finish that provides that natural lit from within glow. In contrast, the Maestro Foundation provides the sheerest coverage of the three. It settles into a semi matte finish that also includes the benefits of an SPF of 15. The Luminous Silk has been among one of my favorites. It has won numerous accolades including the best liquid foundation of 2016 according to In Style and is among one of the top luxury foundations in the world. If you have not been introduced to the Armani Beauty line, this would be a great place to start. 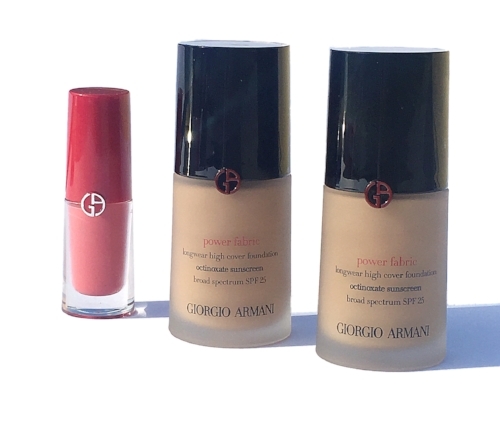 I am truly impressed with the new debut of the Armani Beauty Power Fabric foundation. If you are looking for a medium to full coverage foundation that provides a natural finish that is long lasting, then this is something definitely working into. I truly enjoy every aspect of this new foundation launch, from the packaging, to the formula, and the payoff. I consider it true luxury and I look forward to putting it on heavy rotation this year. 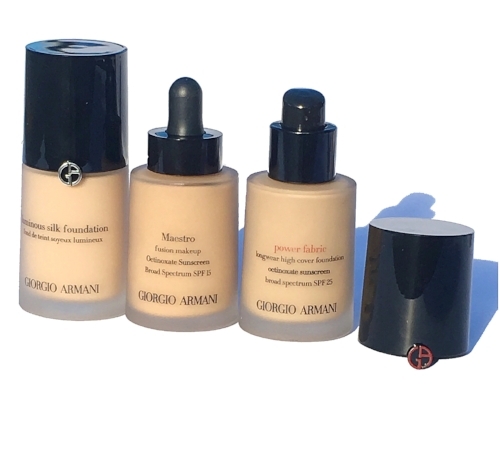 The Giorgio Armani Beauty Power Fabric Foundation retails for $64 USD and is now available online at giorgioarmanibeauty.com-usa. , and at Nordstrom. Giorgio Armani products are also sold at Bloomingdales and Sephora. *Thank you Armani Beauty for the opportunity to share the foundation with my followers. Some links are affiliated.